Crackling Doom ($0.24) Price History from major stores - Khans of Tarkir - MTGPrice.com Values for Ebay, Amazon and hobby stores! 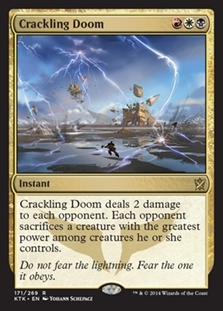 Card Text: Crackling Doom deals 2 damage to each opponent. 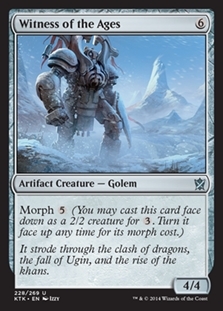 Each opponent sacrifices a creature with the greatest power among creatures he or she controls. 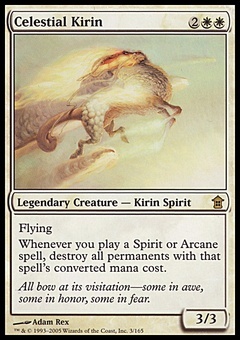 Flavor Text: Do not fear the lightning. Fear the one it obeys.